Prateek Agarwal, Partner- Audit and Assurance & Shalu Kedia, Associate Director spoke at Assocham ICDS workshop that was held in New Delhi recently. The insights put forward by Prateek Agarwal and Shalu Kedia during the Event were indeed enlightening and much appreciated by the audience. Sharing copy of PPT’S made by the eminent speakers during the conference for your ready reference . 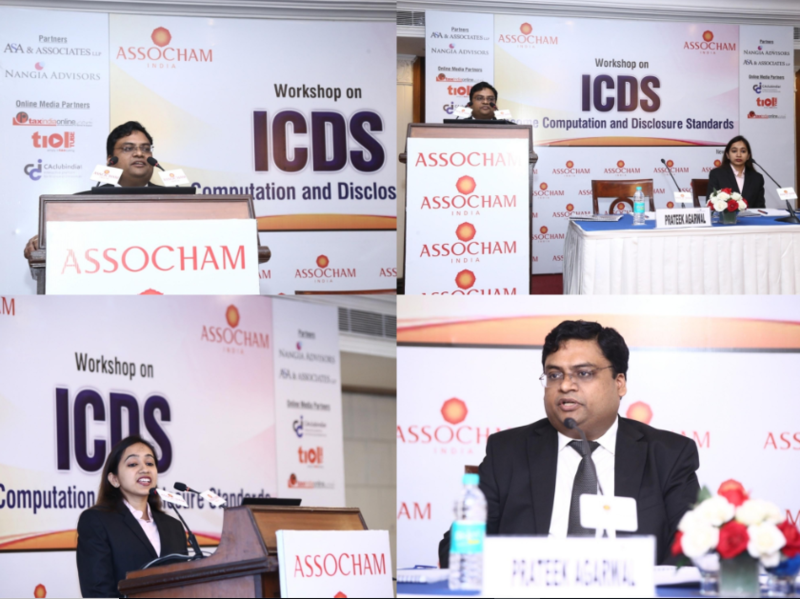 We are proud to be associated with Assocham on ICDS workshop as a knowledge partner to the event. The seminar will gather eminent speakers to discuss the provisions of ICDS, its interplay and impact of the recent amendments in the Act. Prateek Agarwal, Partner- Audit and Assurance and Shalu Kedia, Associate Director will share their insights on ICDS IV, V &VI.